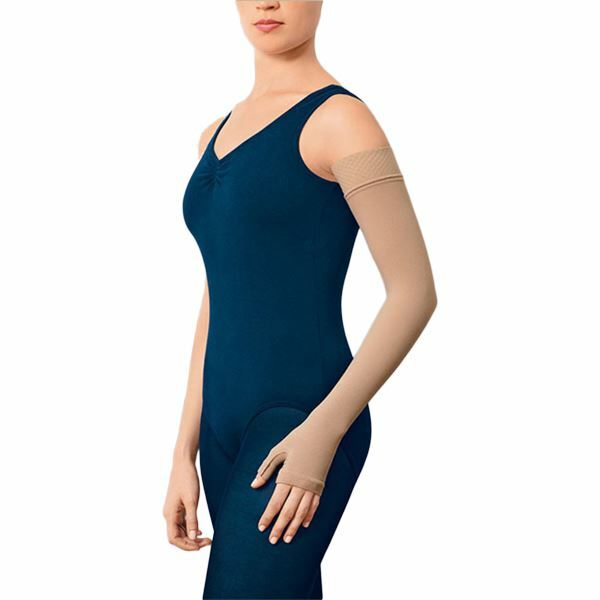 JOBST Bella™ Lite Combination Sleeve provides the comfort and effectiveness of the Bella™ Lite Armsleeve and Gauntlet in an all in one garment. Ideal as an early intervention treatment option for oedema and lymphoedema. Soft and air permeable. Lightweight, knit construction. 20-30mmHg, available in two lengths: Regular and Long.